Today on 1st Feb (Shortest moth of the year), On Twitter Kailash Kher has replaced Alok Nath, Rajnikant and CID jokes and all memes!! Here are the some of the choosen jokes, from that you can Enjoy yourself!! n Share within your circle! - Kailash Kher is so small that Alok Nath used him as a musical agarbatti. - Kailash Kher sleeps on a pillow. - Dadi from Comedy nights dedicated her "Ittu" to Kailash Kher "itu sa HAI tu, itu sa"! - No matter how much Kailash Kher drinks.. He never gets high. 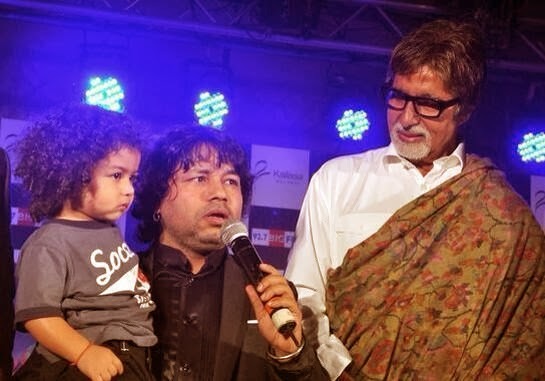 - Kailash Kher makes a phone call to talk to BigB, standing next to him. - Kailash Kher actually jumps 121 on his mobile to call Idea Showroom ! - Kailash kher jokes are disgusting..heading nowhere..as if, jokes ka short circuit ho gaya..
- Teacher: Stand up! Kailash Kher: *stands up* Teacher: Stand up or else absent mark kardungi! - Kailash Kher sleeps on the Space Bar of his laptop's keyboard. - February is kailash kher of months and vice versa. - When Kailash Kher get insulted he try to kick people's ankles!